Welcome to the Stress Free Land where a New Way of Thinking teaches you a better Reality. 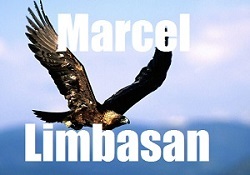 Entrepreneur, Writer, Researcher in human behavior and a few major Sciences. Author of two unique books. About. | Special Report. | Millionaire Mentor. | Network Marketing. | Coming Soon. Has Stress robbed you of your peace, joy and happiness? You are not alone. Millions of people feel the same way. But no more. Here is Good News! It doesn't have to be this way any longer. New, exciting, unbelievable breakthrough in Stress research. Discover the SECRETS of living a stress free life. YES, you too could get back in your life the joy, happiness and peace of mind that's missing for so long, by learning the Secrets of Eliminating Stress forever. No more stress management. Learn the Amazing Secrets of how you could ELIMINATE stress forever from your life. Revolutionary Secrets of a new way of thinking teaches you a better reality. The New Breakthrough in stress research is based on the latest understandings of the mind-body communication, the way our brain works, the way it processes the bits of information; and the results of these. Through our nervous system, the billions bits of information are transformed by our brain into electro-chemical signals that are perceived by our body as positive or negative feelings. 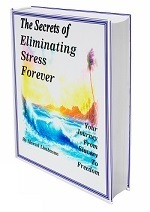 "The secrets of eliminating stress forever, your journey from slavery to freedom." Part one, chapter one to eight, is entitled: "Who really are we?" In this part, we are helped to understand the importance of laws and principles that governs the inner and outer universe. It also brings to our attention that humans, like any other intelligence, were design to function based on specific laws and principles. Even more than this, we were designed to be superior to any other intelligence on earth; being capable and responsible for tailoring our own future and destiny. In part two, "What are we dealing with?" which contains chapter nine; we get a better understanding of what stress really is and where it comes from. It identifies what the roots of stressors are. It clarifies the role we play in creation of our own stressful environment. The final part, part three: "When the impossible becomes possible," contains chapter ten to twelve. Once we get a better understanding of whom are we, the laws and principles that governs the functions of our mind and body, and the realistic view of how we create our own "heaven or hell", we are helped to combine this new knowledge in such a way that we stop creating our stressful environments and start designing and bringing into reality our own future and destiny. A future where people could live a life free from stress. By reading this book, you become familiar with important laws and principles that govern the functions of our brain and body. By applying the things you learn, you can become the conscious designer of your inner world. Not only that, but also you can learn how to properly master your outer world, so both of them might bring back happiness and joy to your life and family. You owe it to yourself, and to your beloved ones. Read it, learn it, master it. The life you are improving is yours. Ebook, PDF format. SoftCover format. "How to eliminate stress, an exodus from slavery to freedom." This E-Book is a wonderfully illustrated 110 pages that stirs the curiosity and opens the appetite for the New Paradigm of Stress, where you are not longer at the discretion of the stressful environment you live in, but you become the designer of your future, destiny and happiness. A future without stress. Research shows that the world we create around us is very much the expression of our inner world. If in our inner world we have a paradigm that says: "We cannot eliminate stress" of course that outer world reflects that. Even more, we become the creators of our own stressful environment. But, if we come to realization that our old paradigm of stress is not the best for us, and we dare to replace it with a better one, our outer world will start to reflect our new paradigm also. As result, we create for ourselves a better life without stress, anxiety and worries. This New Breakthrough in stress research gives you the necessary tools to come to realization of the new paradigm of stress, and helps you to build a better and stress free life. By reading this book, you become familiar with important laws and principles that govern the functions of our brain and body. By applying the things you learn, you can become the conscious designer of your inner world. Not only that, but also you can learn how to properly master your outer world, so both worlds might bring back happiness and joy to your life and family. You owe it to yourself, and to your beloved ones. Read it, learn it, master it. The life you are improving is yours.